Publisher: Weidenfeld and Nicolson. Country: United Kingdom. Date: 1966- . London, Weidenfeld & Nicolson/World University Library, 1970. Hardback with dust wrapper. 256pages. Black and white illustrations. Series Note: "The World University Library is an international series of books, each which has been specially commissioned. The authors are leading scientists and scholars from all over the world who, in an age of increasing specialisation, see the need for a broad, up-to-date presentation of their subject. The aim is to provide authoritative introductory books for students which will be of interest also to the general reader. The series is published in Britain, France, Germany, Italy, Spain, Sweden and the United States. The World University Library is an international publishing venture edited and directed by Weidenfeld and Nicolson 5 Winsley Street London W1." London (5 Winsley Street, London W1), Weidenfeld and Nicolson, 1970 (World University Library). - Weidenfeld & Nicolson, London (series name: World University Library). - Littlehampton Book Services Ltd., England (series name: World University Library). - McGraw-Hill Book Company, New York (series name: World University Library). - Taylor & Francis, New York (series name: World University Library). - The Guardian (London), 4 May 1966, p. 9. - The Observer (London), 14.6.64, p. 29. WUL 001. Eye and Brain: The Psychology of Seeing - R. L. Gregory. 1967. WUL 002. The Economics of Underdeveloped Countries - Jagdish Bhagwati. 1966. WUL 003. The Left in Europe since 1789 - David Caute. 1971. WUL 004. The World Cities - Peter Hall. 3rd ed. 1984. WUL 005. Chinese Communism - Robert C. North. 1966. WUL 006. The Emergence of Greek Democracy: The Character of Greek Politics, 800-400 BC - W. G. Forrest. 1972. WUL 007. The Quest for Absolute Zero: The Meaning of Low Temperature Physics - Kurt Mendelssohn. 1977. WUL 013. Education in the Modern World - John Vaizey. 1967. WUL 015. Art Nouveau - S. Tschudi Madsen; R. I. Christophersen. 1967. WUL 016. The World of an Insect - Remy Chauvin. Translated from the French by Harold Oldroyd. 1967. WUL 017. Decisive Forces in World Economics - J. L. Sampedro; S. E. Nodder. 1967. WUL 018. Development Planning - Jan Tinbergen. Translated by N. D. Smith. 1967. WUL 019. Human Communication - J. L. Aranguren; Frances Partridge. 1967. WUL 024. Humanism in the Renaissance - S. Dresden [Samuel Dresden]. Translated from the Dutch by Margaret King. 1968. WUL 027. Bionics - Lucien Gerardin. Translated from the French by Pat Priban. 1968. WUL 028. The Age of the Dinosaurs - Bjorn Kurten. 1968. WUL 030. The Old Stone Age - François Bordes; J. E. Anderson. McGraw-Hill, 1977. WUL 031. Data Study - J. L. Jolley. 1968. WUL 034. The Dutch Republic and the Civilisation of the Seventeenth Century - Charles Wilson. 1968. WUL 036. The Structure of the Universe - E. L. Schatzman; Patrick Moore. 1968. WUL 038. The Tasks of Childhood - Philippe Muller; Anita Mason. 1973. WUL 039. 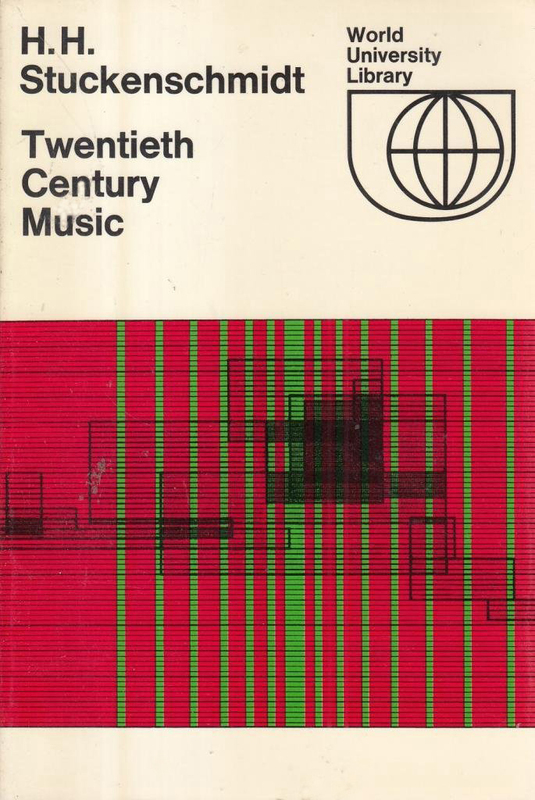 Twentieth Century Music - Hans Heinz Stuckenschmidt. Translated from the German by Richard Deveson. 1969. WUL 040. Quanta - J Andrade Silva; G. Lochak; Patrick Moore; Louis de Broglie. 1969. WUL 042. Population and History - E. A. Wrigley. 1969. WUL 045. The Italian City-Republics - Daniel Waley. 1969. WUL 051. The Molecules of Life - Gisela Nass. 1970. WUL 059. Key Issues in Criminology - Roger G. Hood; Richard F. Sparks. 1974.